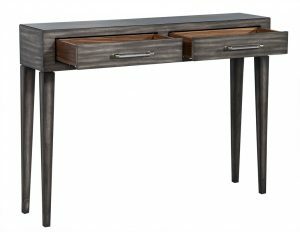 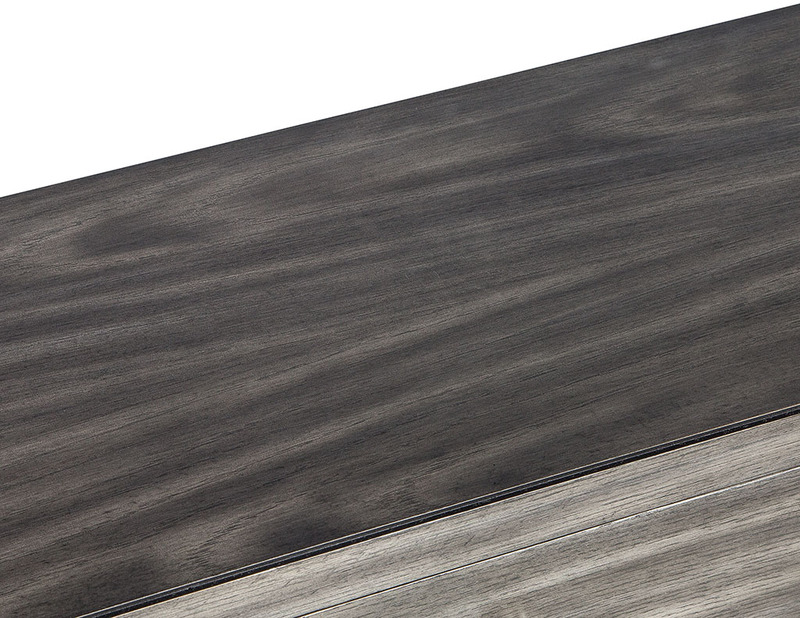 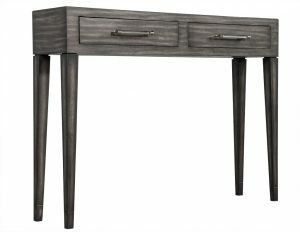 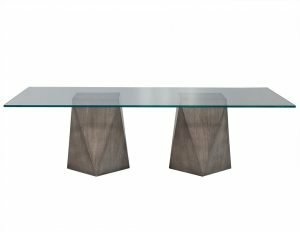 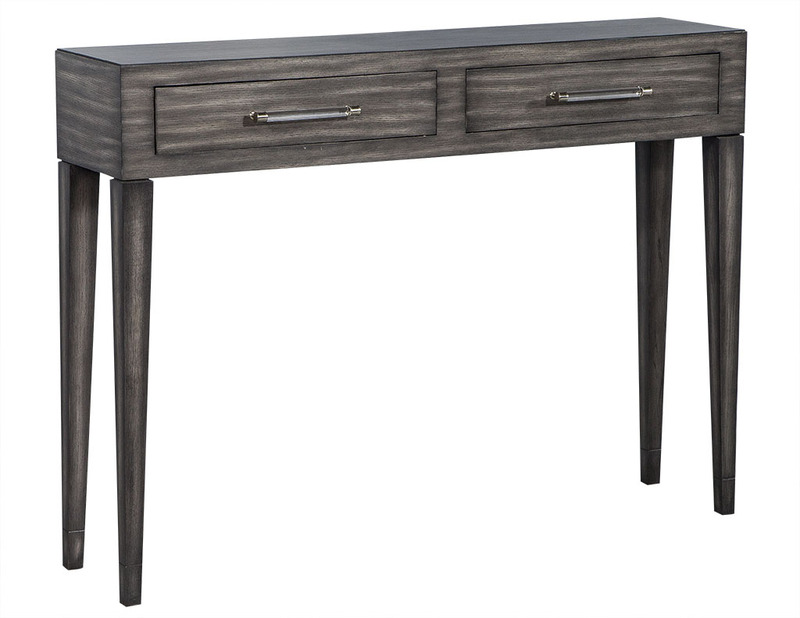 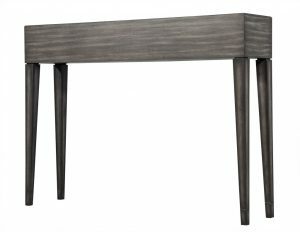 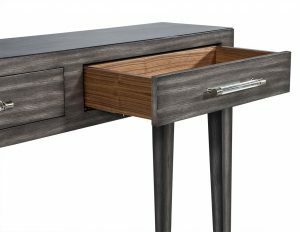 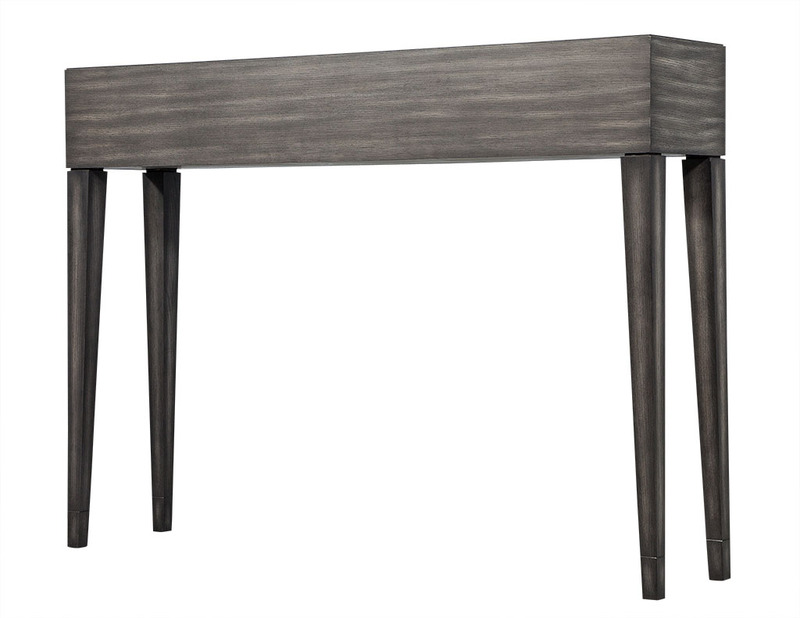 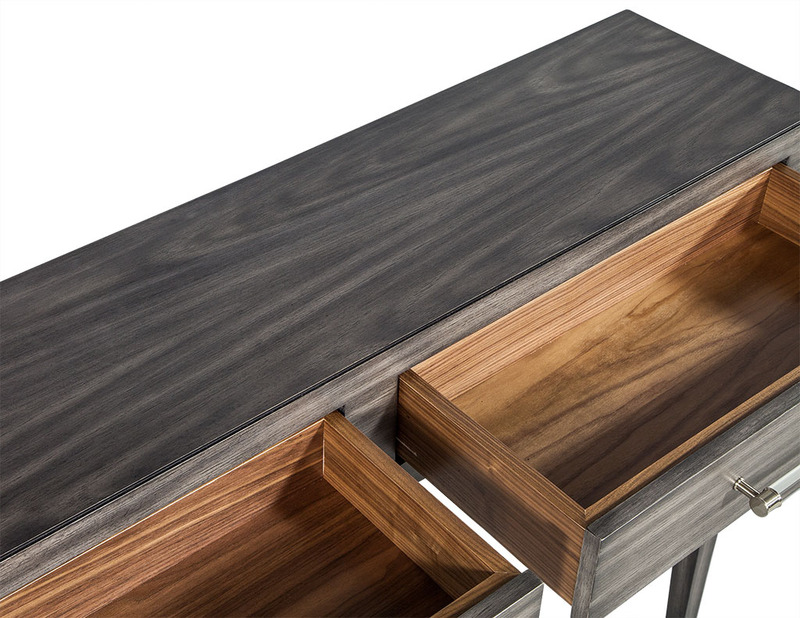 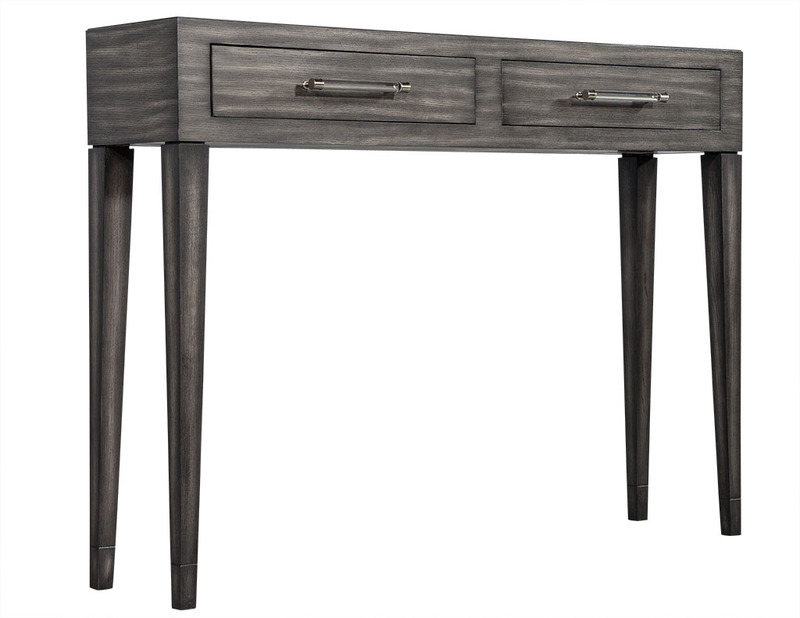 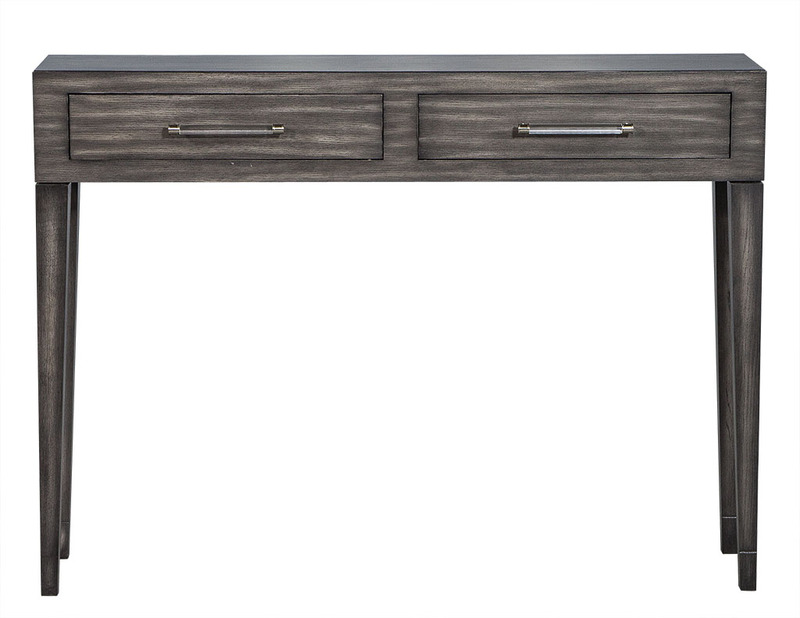 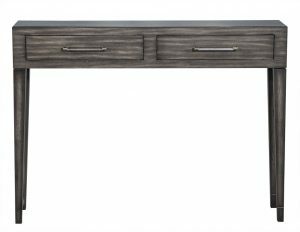 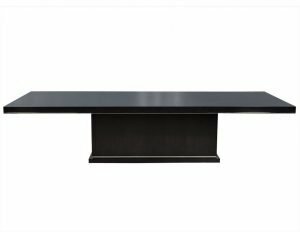 This Modern style console is composed of rift cut oak. 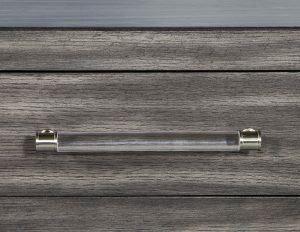 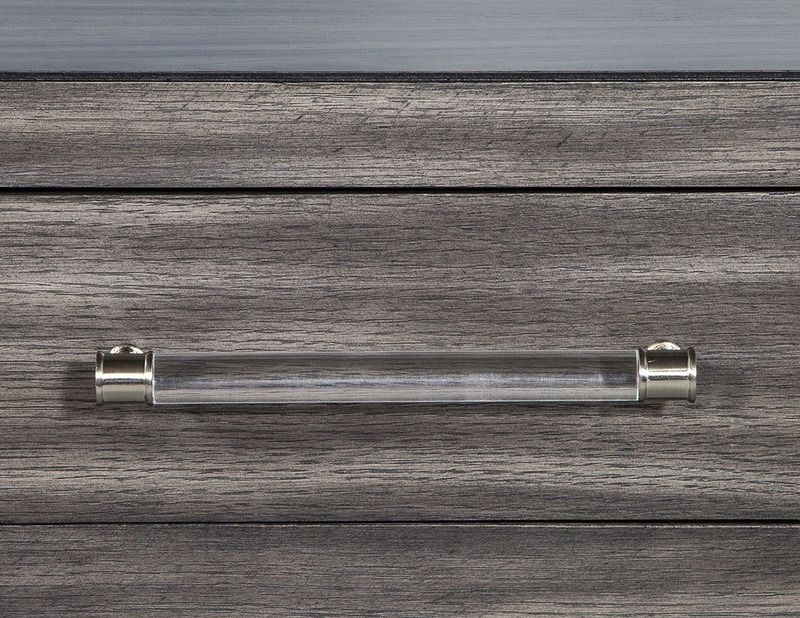 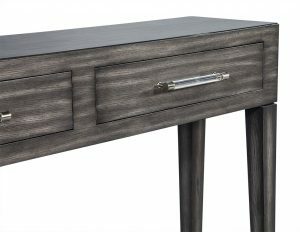 Custom made, it is finished in a warm gray with highlights throughout and two acrylic handles on each pull out drawer. 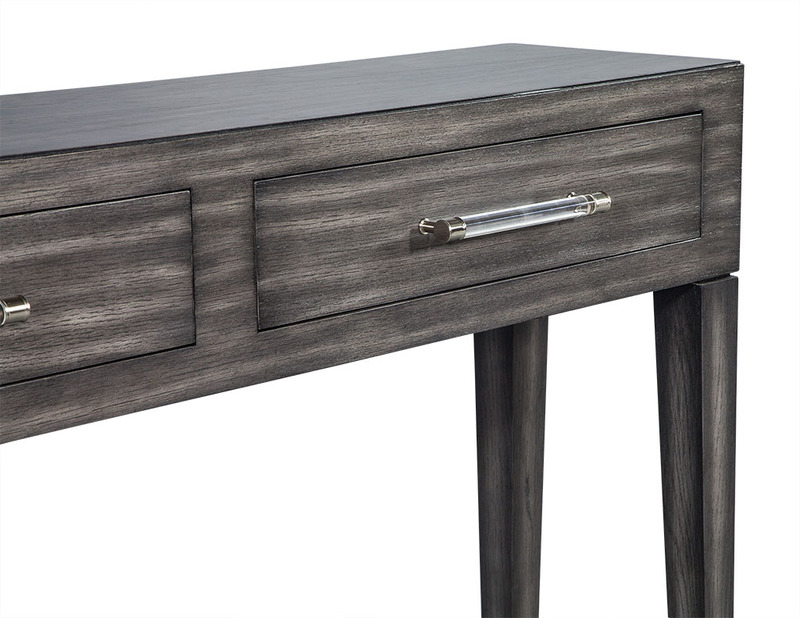 A beautiful piece perfect for any home.